MintChip has announced to its users new top ups made with credit cards via Apple Pay will soon incur a 3.25% fee. 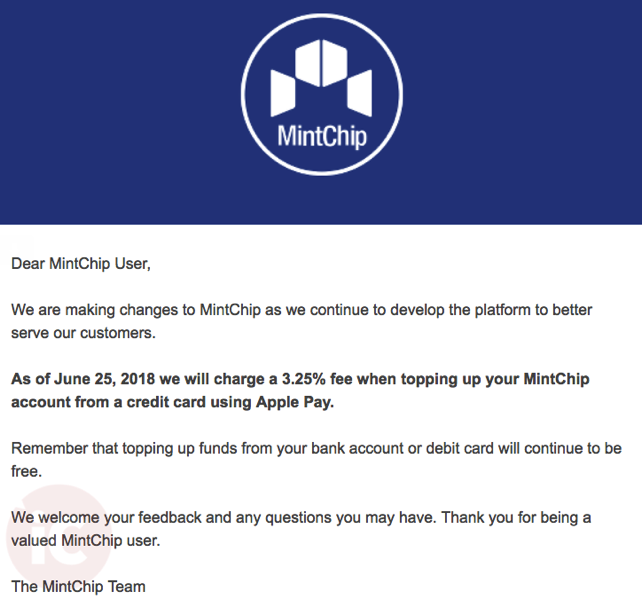 The email goes on to read “As of June 25, 2018 we will charge a 3.25% fee when topping up your MintChip account from a credit card using Apple Pay.” Those topping up funds from a bank account or debit card will remain free. 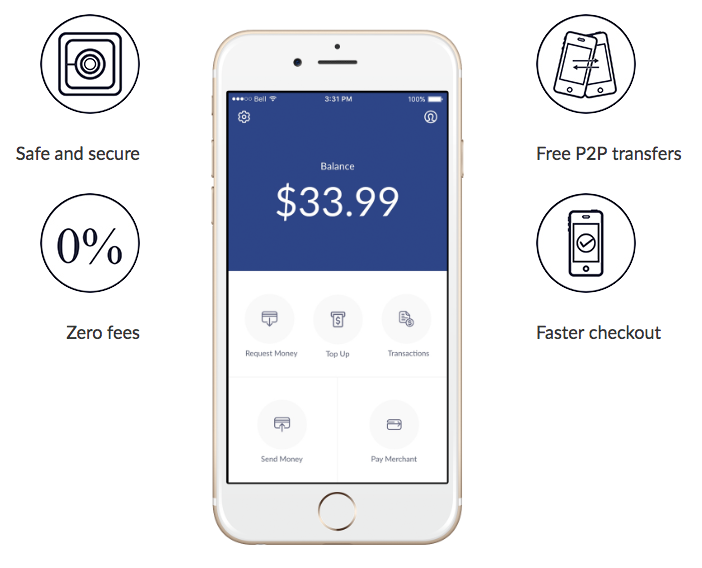 MintChip is a digital mobile wallet which lets users send money to friends and pay merchants through the iOS or Android app and its QR codes. The digital wallet was originally created by the Royal Canadian Mint, before it was sold off to nanoPay in December 2015. 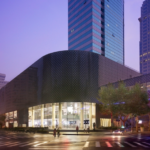 Support for Apple Pay within MintChip for top ups debuted in the iOS app nearly two years ago, and at the time fees did not apply for those topping up with credit cards via Apple’s mobile wallet, but that looks to change next week.